Reality always remains away from the expectations for us due to lack of interest of our Politicians. The progress of U.P can be observed from the progress of Rei Bareilly and Sultanpur (Amithi), the constituencies of high profile leaders. 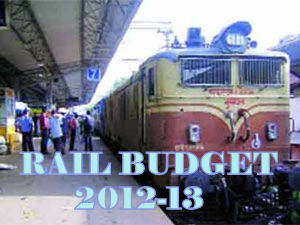 Railway should allow private operators to operate some trains by charging a flat rate from them for providing facilities like track, stations etc.This is similar to private air lines operation.This will be highly beneficial to the travelling public.Private trains will run in time, better time schedule, good maintenance,good passenger care etc which is lacking now.